“Silent Night” was meant to be simple. Franz Gruber took a text by Joseph Mohr and set it for voice and guitar, and it was first performed on Christmas Eve, 1818 in the village of Oberndorf, near Salzburg, in Austria. To my thinking, a large part of the beauty of this carol comes precisely because it is so simple. I have tried to reflect that in my setting for violin and piano, which I have uploaded here. When we lived in Europe we never made it to Oberndorf, but the original St. Nikola parish church is no longer standing anyway. Salzburg itself was one of our favorite places. 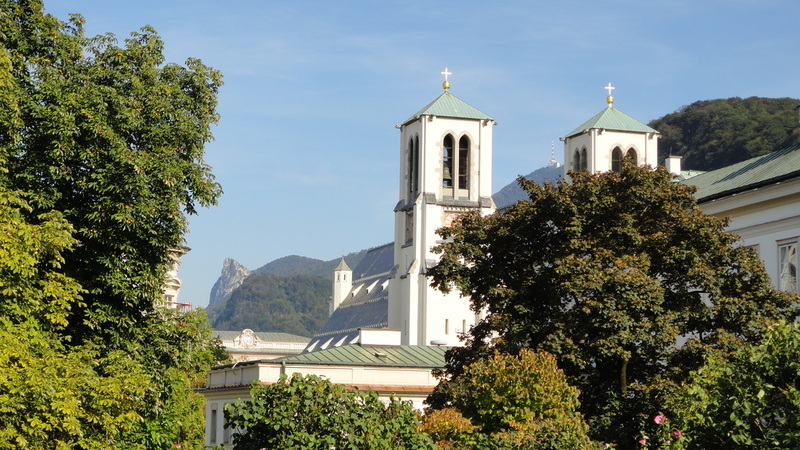 The Salzburg cathedral below is probably a bit more grandiose than the church where “Silent Night” premiered, but it has an illustrious musical history of its own. Mozart was baptized here, and he served as organist from 1779 to 1781. *** This post originally appeared on my other site here..